The idea was to just head to the studio with some fun clothes from her closet that Kathi and her picked out prior to the shoot. The theme was “Emily’s Closet”. Originally we were going to shoot “in” her closet, but… so much stuff it wasn’t really a great idea ☺ She has a LOT of clothes! In the end we had such a fun time. Emily has such a great personality and she is a pleasure to shoot with. Here are some of the shots we got along with the banner she ended up with for her blog. 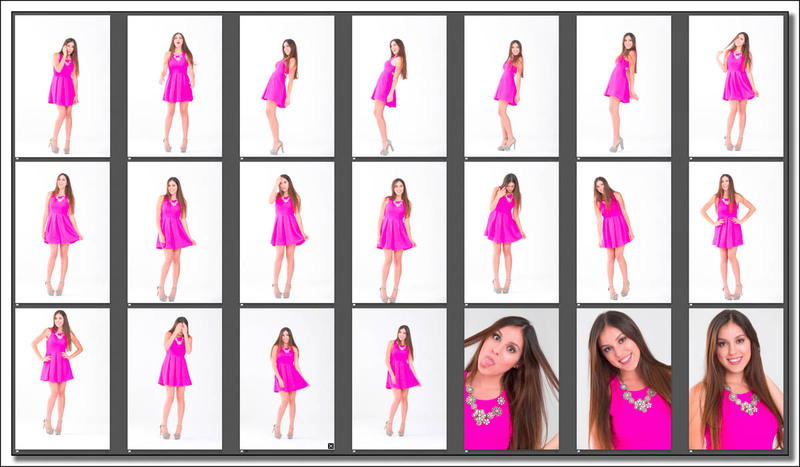 A few contact sheets from the shoot.